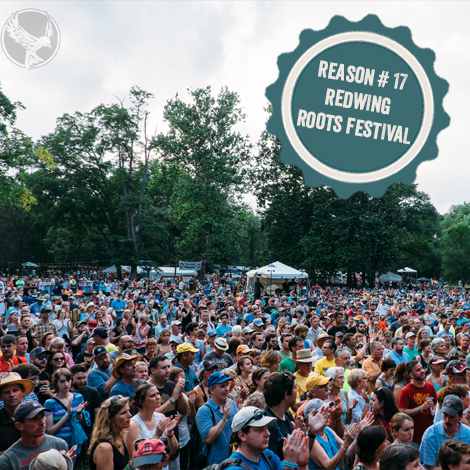 And last but not least…#17 is the Red Wing Roots Festival. With the beautiful backdrop of the towering limestone formations, known as The Natural Chimneys, this family-friendly music festival features the best of both worlds: great music in the great outdoors. Spend the weekend listening to the music stylings of The Steel Wheels, who call Virginia’s Blue Ridge Mountains home, while immersed in outdoor activities including daily hikes, morning yoga, fun runs and more. Set-up camp for the weekend or come for the day—either way you’re guaranteed to have fun! For the entire 2017 line-up click here.